If you’re selling your home in NJ, staging it is critical in order to attract younger Gen X or Y (also known as Millennial) buyers who have grown up on HGTV and expect homes to look updated and be move-in ready. 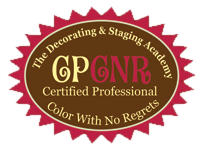 Staging gives your property the competitive edge it needs to sell quickly and at a higher price. Since decor constantly changes with the times most houses should reflect a transitional or even contemporary style. In the last several years interior design has moved away from traditional, more ornate styles towards a cleaner-lined transitional style – halfway between traditional and contemporary styles in urban NYC areas, an even more contemporary look is favored. Progressive stagers stay on top of design trends so they can advise home owners on how to best style their homes. Do you know how to attract more buyers through inexpensive updates, whether through painting, cabinet hardware, light fixtures, carpeting? Even just accessorizing with accent pieces and inexpensive new bedding and towels can go a long way towards improving the look of a house and making it stand out to buyers. Towns like Ridgewood, Alpine, Closter, Tenafly, Demarest, Oradell, Glen Rock, and Wyckoff in Bergen County are highly desirable to home buyers because of good school systems, proximity for commuters to New York City, nice downtowns or convenient access to neighboring towns with good shopping, and overall attractive neighborhoods. If you’re selling your home in those towns, you already have a built-in upper hand, BUT because your home is likely to cost more than those in other towns, buyers expect more also. Staging your home increases its maximum perceived value -- according to the National Association of Realtors, by as much as 7 to 10 percent. Whether your Bergen County home is occupied (i.e., you’re living in it) or vacant, the goal of staging is to present your property with the right amount of furniture to show buyers the best placement and use of each room, open up or warm up spaces, and make the whole house appear light and bright. Renting stylish, transitional rental furniture and/or accessories as needed helps you get the most money out of what is probably your biggest asset. Visit Great Impressions Interiors's profile on Pinterest. © greatimpressionshomestaging.com. All rights reserved.